Verificar no ficheiro recursos.php se as tags do PHP estão declaradas ou se usam short tags. More rarely, it can happen when the client is attempting the initial connection to the server. In this case, if your connect_timeout value is set to only a few seconds, you may be able to resolve the problem by increasing it to ten seconds, perhaps more if you have a very long distance or slow connection. You can determine whether you are experiencing this more uncommon cause by using SHOW STATUS LIKE ‘aborted_connections’. It will increase by one for each initial connection attempt that the server aborts. You may see “reading authorization packet” as part of the error message; if so, that also suggests that this is the solution that you need. At some point, it was impossible for remote clients to connect to the MySQL server. The client (some application on a Windows platform) gave a vague description like Connection unexpectedly terminated. or check if the host is listed in /etc/hosts.deny. O objetivo é verificar se para um determinado ID existem registos numa tabela devolvendo true/false em vez do número de registos. Aqui ficam 2 formas de fazer isto. 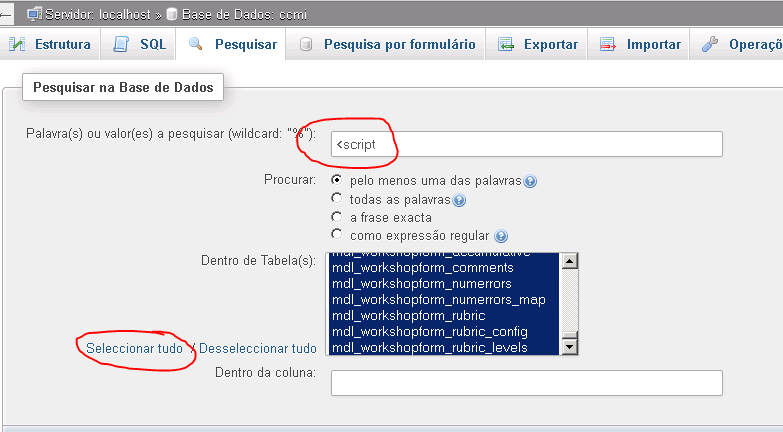 Se aparecer algum resultado diferente de 0, pode ser ali que estão os scripts.